So, here is my one & only big complaint about boxed cake mixes- who needs 24 cupcakes all at once?? I mean, seriously. That is just begging to go straight from my belly to my waistline and hips. Every time I pull out a box of cake mix from the cabinet, I sigh and ask myself... "Which of my family & friends can I make it out to in the next few days to hand some of these off to?" Who says I HAVE to use the entire box of cake mix all at once?? So, I started researching & fanangling a little bit and came up with the perfect formula for using just half the cake mix to create a smaller batch of delicious cupcakes. You can just chip clip or store the remaining half of the cake mix in a plastic storage bag until you need it. Unless you have a big family dinner or holiday party to attend and need to make the whole box. Then just simply double everything in the recipe below. Now, I do not scrimp when it comes to making cupcakes. Instead of 12 standard cupcakes, I go with 8 generous cupcakes. ;) So if you decide to make a full on batch of these to share, you will get about 16 cupcakes when you double the recipe. Preheat your oven to 350 degrees. Line 8 cups in a muffin tin with cupcake wrappers. Set aside. In a large bowl, beat together the cake mix, pumpkin, egg, water, & oil. Beat on medium for about 2 minutes or until well combined. Divide the batter evenly among the 8 lined muffin cups. Bake at 350 degrees for 17-20 minutes or until a toothpick inserted in the middle comes out clean. Allow the cupcakes to cool in the pan for about 10 minutes and then transfer to a wire rack to cool completely. 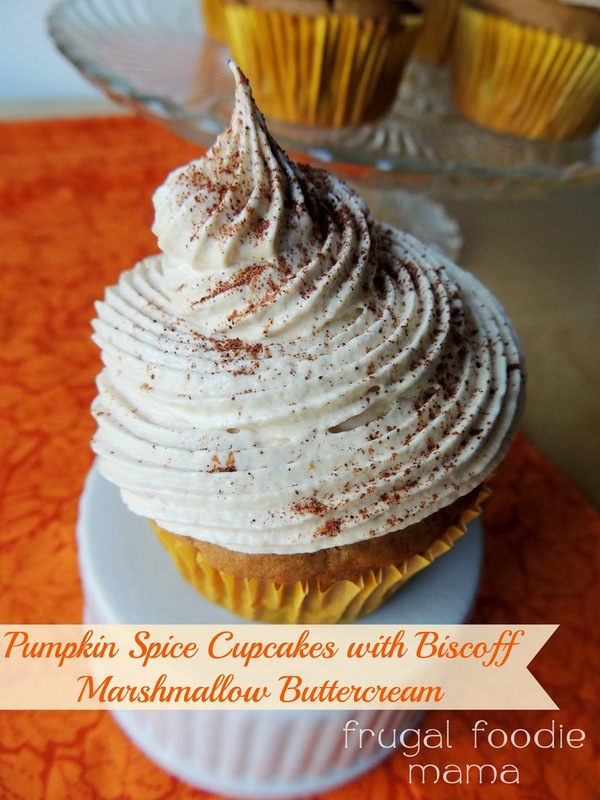 While the cupcakes are cooling, prepare the Biscoff Marshmallow Buttercream. In a medium bowl, beat together the butter, Biscoff, marshmallow fluff and powdered sugar on low for 1 minute. Then increase to high for another 2-3 minutes or until the buttercream is whipped and creamy. Transfer the buttercream to a tipped pastry bag and prettily pipe the frosting onto each of the cupcakes. 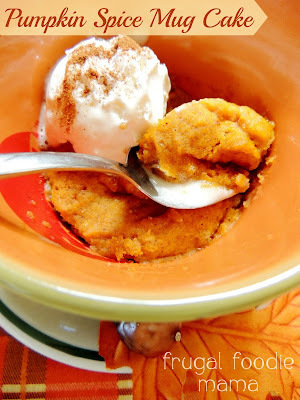 Finish with a little sprinkle of cinnamon or pumpkin pie spice on top, if desired. I found the 8 cupcakes were perfect for us. I did end up dropping off two with my pregnant girlfriend (one for her and one for the baby... the baby needed one!). I will be posting another recipe tomorrow using the other half of that cake mix, so be sure to pop back over here in the morning!